Boo Boo Bikes are natural bamboo bikes hand made in Ghana, West Africa. They are then meticulously assembled in Australia to give you the most satisfying ride you’ll ever have. Our Boo Boo Bikes' life begins with Ghana Bamboo Bike Initiative who generate training and employment within the local community for skilled and unskilled men and women thus, empowering them with skills and income to help them be both independent and safe. Boo Boo Bikes are then assembled in Australia through a mentoring program to help young adults learn new skills and reach their true potential. 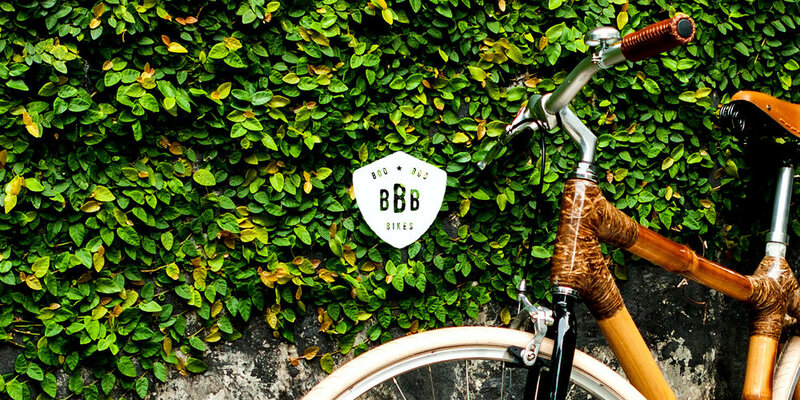 Boo Boo Bikes wants to leave a positive impact on everyone involved in the process of getting these bikes to you. We hope that when you ride a Boo boo Bike you can feel the difference. Feel the difference to ride a bike that makes a difference. All bamboo bike frames are hand made in Ghana and are tested and approved for sale in Australia by the ACCC. The frame is treated in epoxy resin and is incredibly strong. Each frame is an individual, one of a kind, just like you, there will never be another exactly the same. Fixie, single speed, surfboard rack ... spokey dokes! Kit this bike out to suit your style. Available as complete bike or just the frame only. Cruising down the beach with your, towel, music and good book in the front basket and you have your weekend made. Perfect for showing of to your mates down the skate park with some sick skids and jumps. One design, two colour tees. Make one your own to wear. SIGN UP to find out about pricing and when the bikes will be available! Boo Boo Bikes | © Copyright All rights reserved Boo Boo Bikes 2019.